It's that magical time - February release week starts today! This month we have a great mix of stamps and dies sure to spark your creativity! All new products will be available on Friday, February 8th at 8am EST. Be sure to stop by here everyday this week for lots of fun, inspiration, and giveaways! Today we have some news! 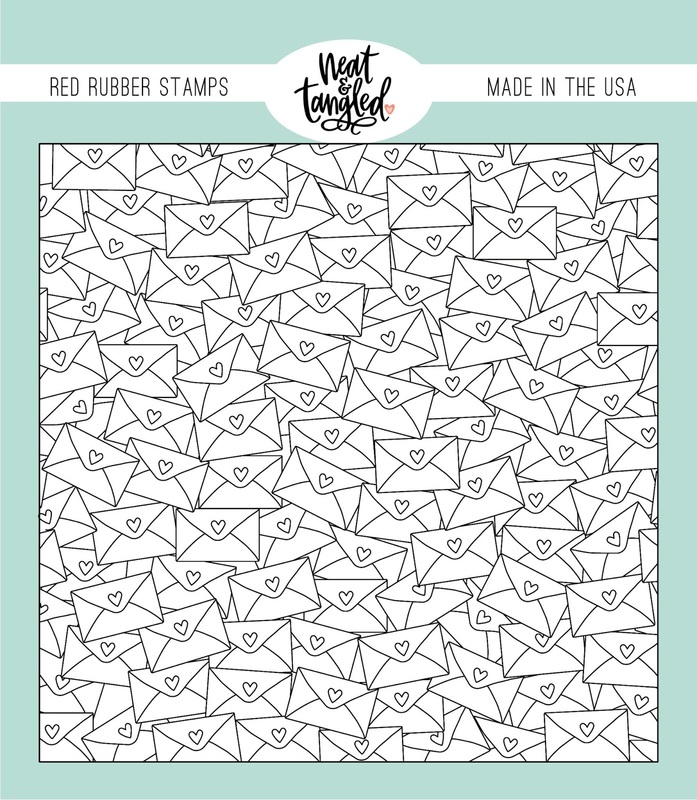 We are so excited to share the addition of beautiful red rubber cling stamps to our product offerings! And we have a fun 6x6 background set for you this month to kick things off. 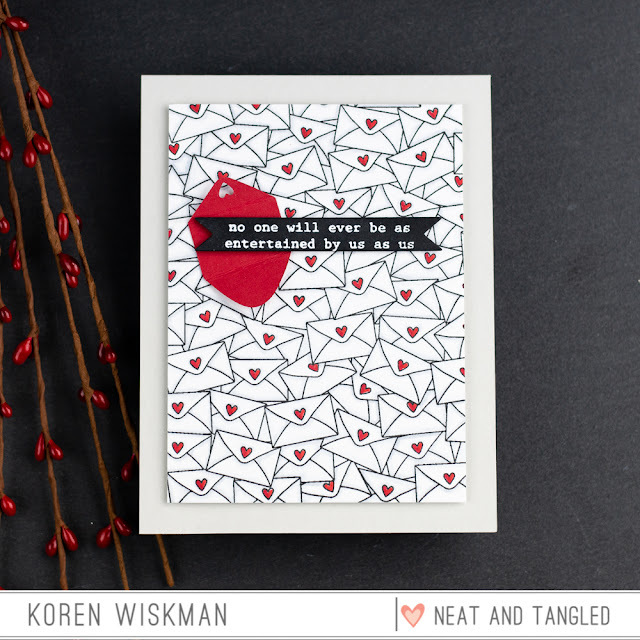 Mail Background is a 6x6 red rubber cling stamp designed by Miriam Prantner. Ink up the whole stamp to create a full background, or selectively ink and stamp just to get part of it! Miriam also designed a great set of dies to coordinate with this new stamp. Love Mail is a set of 4 dies with some classic designs, making them perfect for any occasion! 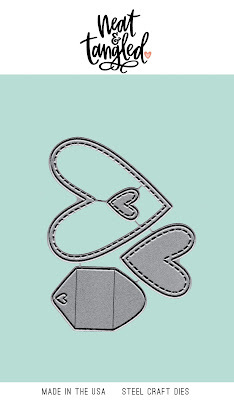 Would you like to win our new Mail Background stamp, and Love Mail dies? 1. Be a follower and leave a comment! Who would you send some love mail to? Oh how fabulous, love all these projects! Such a fun new release! Wow....this background rubber stamp is amazing, and that dies.....I'm in love 😍. I follow you on Facebook and I shared about your new release. Oh my goodness! 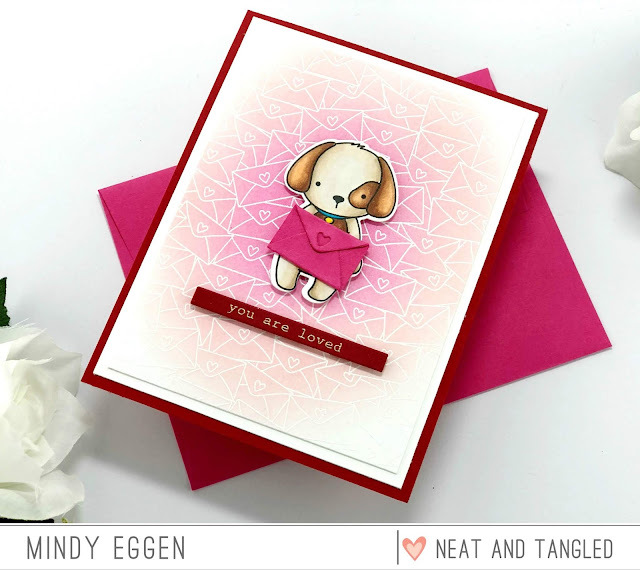 I am in love with that background stamp and the teeny envelope die---so super cute!!! I would send some love mail to my grandma :) She's in PA and I'm in CO, so I miss her a lot and I know she loves getting happy mail in her mailbox! SQUEAL!! LOVING the AMAZING Inspiration and the NEW Products!! CAN'T WAIT to see MORE!! THANKS SO MUCH for sharing and have a FABULOUS Release Week!! I am a blog follower. :) That mail background stamp is so cool. OH MY GOSH WHAT CARDMAKER WOULDN'T WANT THIS AMAZING STAMP/DIE SET!!!!! These are just too awesome!! 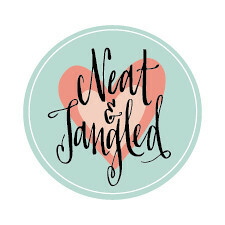 Love, love, love this awesome background stamp! I love the envelope background stamp. This will be great for any occasions. but who is always watching over me. I would send love mail to my mom, who is my biggest supporter! 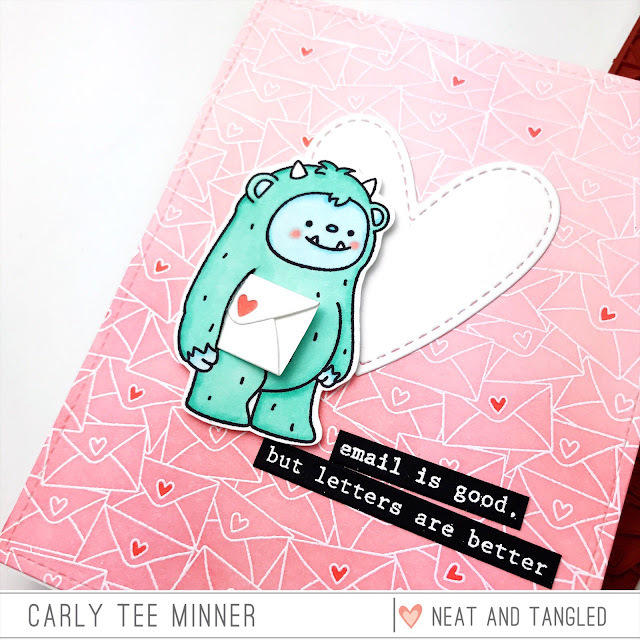 Love that cute envelope die! 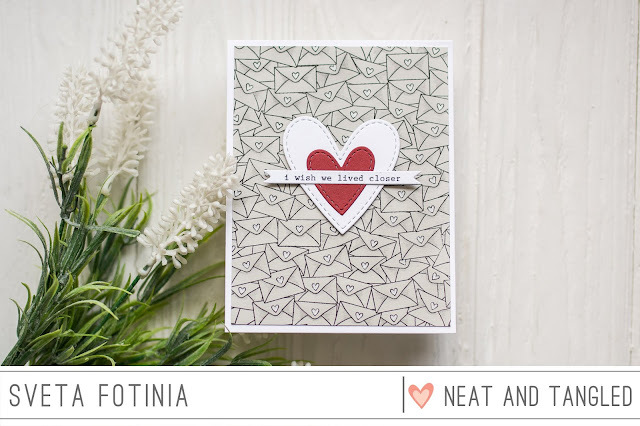 Love the Mail Background stamp and the Love Mail dies! I follow your blog. I would send love mail to Mai, my son's girlfriend who loves getting cards. Great background. Love all those heart envelopes. Love the background stamp it’s a must have for me!! I’d send mail to my mother as she lives so far away and loves to receive my cards!!! I would love to send some love mail to my 2 grandkiddos. 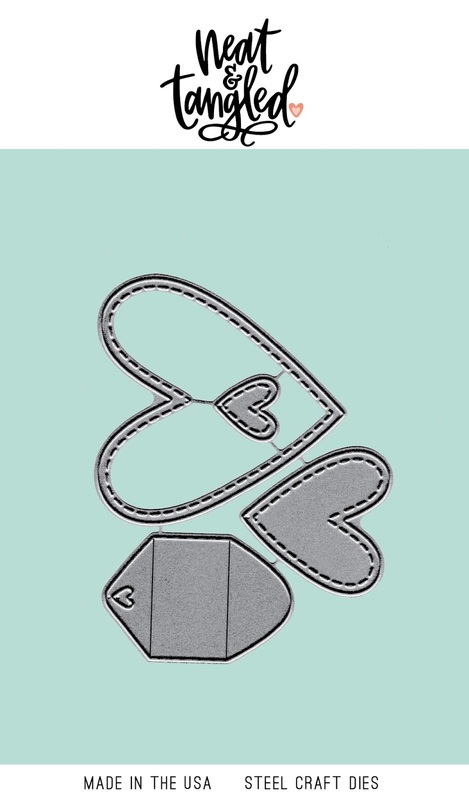 This is such a cute background stamp! I enjoy background stamps and embossing folders...don't have many but they dress up an otherwise mundane card! I love this so much! That background is genius! I love sending love mail to so many people in my life. We all get too many bills so I rotate through my address book and mail a happy card for no reason throughout the year. I follow on Instagram and posted about the release. Oh my oh my oh my! This background stamp is absolutely amazing! I love it so much...! 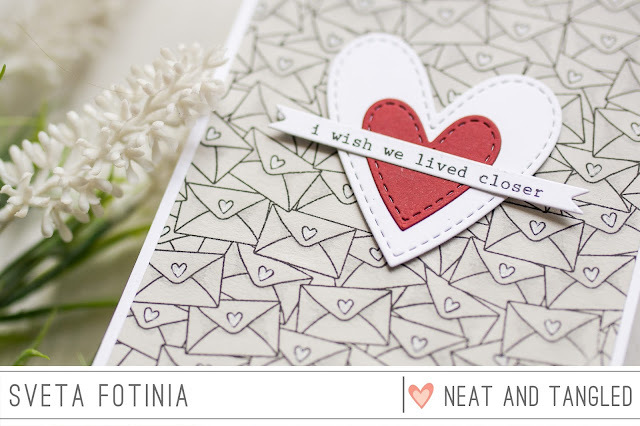 Fantastic dies to go with it, too, and I spy some cool sentiments also?! :-) Cannot wait for this release already, and it's only day 1, oh my! Oh, and I would send some love mail to my friends who are currently in a different country.. or should I say, I am the one who is in a different country & moved! ;-) I miss them all dearly, so I would definitely want to send some "love and miss you" mail their way! I would send a card with that stamp to a special friend of mine. Love, love, love that background stamp! So glad you guys have added these to your product line! What a great background stamp. I love it. I'd use it to send some Valentine's love to my son and his girlfriend who are off at college. I just love how sweet these cards are, sure is fun to send some love notes to my girls, who live in SF and NYC. These are darling!!!! I love that background stamp and dies! SO FUN! And the DTs coloring is PHENOMENAL! I follow on Facebook and shared with crafty friends! I follow on Instagram and REPOSTED!Thank you! These are all "must haves" for me, I'm a retired mail carrier and I love anything to do with letters. I would send love to my grand kids. I Follow You On Facebook and shared. I follow you on Instagram, but I don't know how to repost things. Awesome release, way to go with the red rubber kick off. Currently Facebook & I are having technical issuses & I ve only just started instgram, how do I repost things ? Adorable! Love the little envelope die to match so cute! Love the envelope background. I will send love to my grandsons. Follow on Facebook and shared. Wow just love that envelope stamp...I would send love mail to my hubby,kids, parents and sister. These products pair so well together and all the samples are so sweet. I'd love to send little notes to all the girls in my Guide group. I really like this large background stamp! Love the background stamp. I would send it to my 2 kids, 5 granddaughters and 9 great-grandkids. I absolutely love the background stamp, and love that it is one you could get a lot of use from. This background stamp is out of this world! And the card examples are simply gorgeous! I would send love mail to my son in college and my nieces and nephews. I am a follower and i love the tiny envelopes. I'd send love mail to my mom, sister, niece and nephew. lovely samples - the envelope background stamp is just gorgeous. 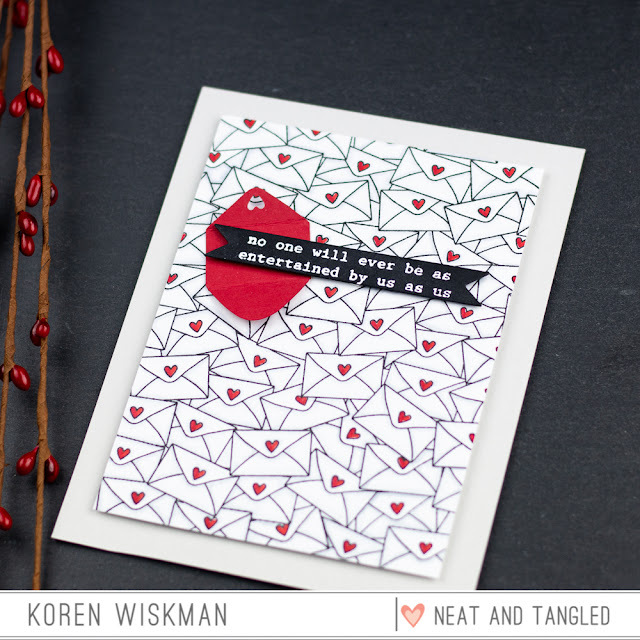 Love the envelope background and the little envelope could be used on so many different card designs. I follow on FB and Instagram. Excited about the red rubber background stamp! 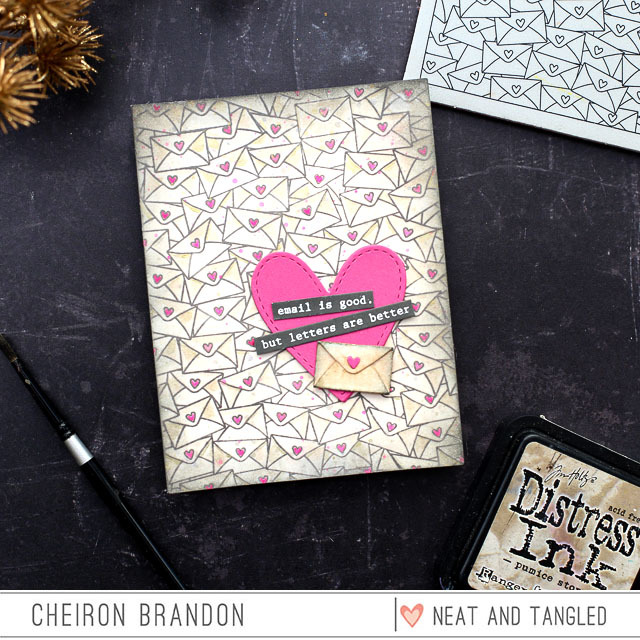 Love the Mail Background stamp and the set of Love Mail dies! Awesome samples! Oh, these are all so fun and sweet! Love! Love the background letter stamp! looking forward to seeing more of the release! Wonderful cards! I love the letter stamp, so cute. I would send some love mail to my grandchilden. Love it!! Love sending cards to my daughter in college. 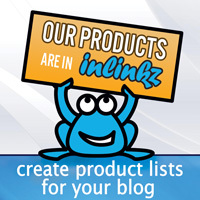 What great new products! Love the background stamp and the companion dies. I would love to send some love mail to Will. Thank you for the chances to win!! What a great background stamp. Love it! I’m in live with love mail!! Awesome stamp and dies, especially the tiny envelope die! I’d send love mail to my hubby, kids, and actually mail a handmade card to my sister who just moved out of state. Great work from the design team! 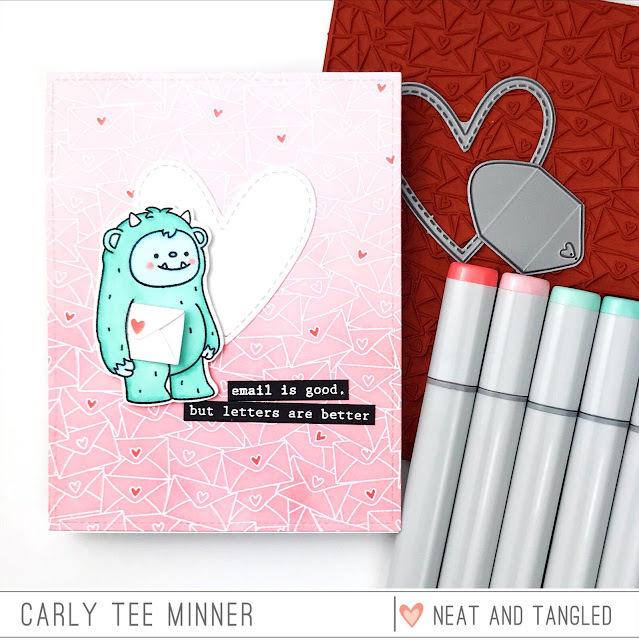 Love this stamp, die & the inspiration cards. Will send love mail to my daughter miles away. I love the background stamp and die! I have a sister that lives far far away and I would send her love mail! I follow on FB and Instagram! 1. Fabulous background stamp!!! Beautiful cards!!! I would send love mail to one of my dearest friend that lives in USA (I'm Italian). Who would you send a message of love to? 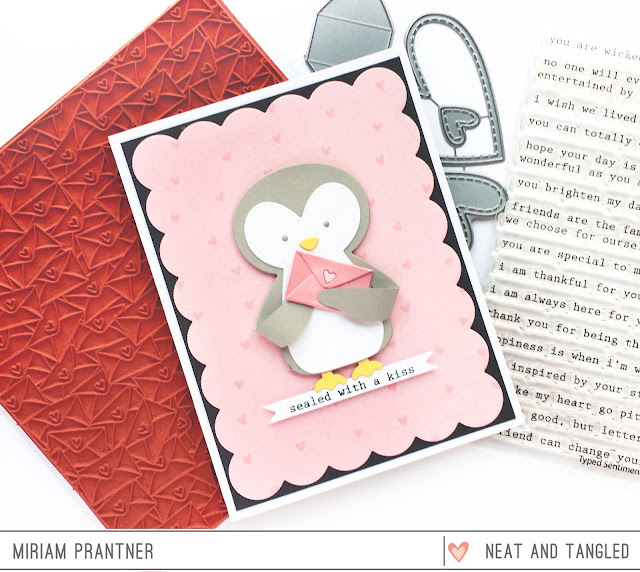 Love the Mail background stamp... so many great ideas for using it from the designers. The first person I'd send love mail to would be my daughter who introduced me to stamping and card making so many years ago. We love to create together when we can and she still provides me with so much inspiration and encouragement. I would send a card to my aunt in Canada! I love this envelope background stamp!!! Love the new background stamp! I'd send some love mail to my children in their lunchboxes! No more stamping and masking envelope stamps on my backgrounds!! 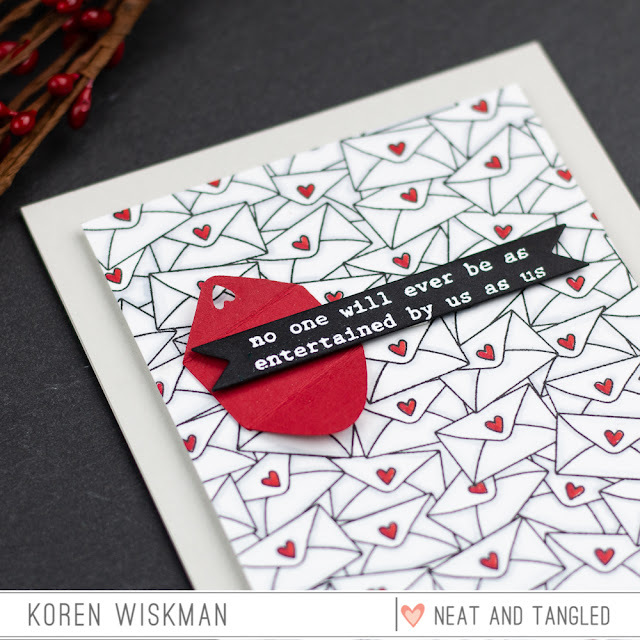 This is fantastic and adore the dies as well, especially the envelope die, so very handy. I would love to send some mail to my crafty friends to tell them how much their support and inspiration means to me!! I love red rubber background stamps and this one is gorgeous! The dies are super cute too. I would send some love mail to some dear friends and my sweet aunt. I’d send happy mail to my best gal pal! What's that sloth saying? Wheeee! LOL!! Love that background stamp!! Oh! And I'd send love mail using this Mail Background to ALL my friends and family!! I follow you on IG and re-posted. Soooooooo fun!!! Loving all of these cards!!!! Wow!!! The letters are awesome and LOVE the dies!!!! I would send love mail to ALL my friends!! Omg.. those cards make me drool for the mail by stamp and those dies are perfect addition to this stamp. Fabulous projects. I follow you everywhere and I will send the love mail to my friends and may be make a card for my brother who would love to send it to his wife, as they work/ live in different cities. "Letters are better" - wonderful! 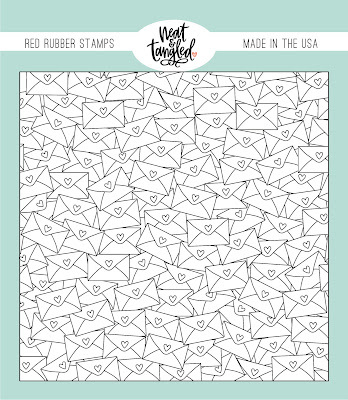 I'd use the BG stamp to dress up envelope flaps in addition to making backgrounds. I love this background stamp! Oh, how sweet these showcases are! First cards, should I be a lucky winner, would go to my niece, nephew and mom! After that, I'd make loads of mini cards for my niece and nephew's classmates/teachers...then on to makes for blogging friends! So much potential in this set, year round! Such a great background stamp! I love the mini envelope die, too! I'd send a card to my sister-in-law, whose birthday is coming right up! My heart's all-a-flutter with inky excitement! First up I would make an anniversary card for a crafty friend who has her wedding anniversary on Valentine's Day, then I would make a LOVE filled card for my parents who are struggling with some health issues at the moment. Such a pretty background stamp! Vast possibilities! Following you on Facebook & also shared the release posts! Oh my goodness, I LOVE that sweet background stamp! Amazing projects, as always, from the design team. Thanks for sharing and the chance to win Danielle !